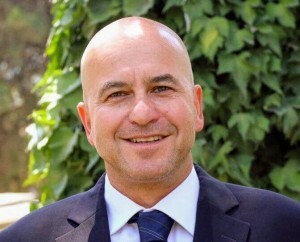 Michael Piha is Conexx: America Israel Business Connector’s representative in Israel. In addition, he is a member of the board of directors of a transportation company. Before joining the Conexx team, Michael served as the Asia/Pacific regional manager at MIS Dental Implants Technology Ltd. He also took an active role in establishing the global BD and marketing foundation at SasaSoftware, a cyber-start up. For 16 years Michael was one of the leading managers at Plasan Ltd, a world-leading ballistic protection company. During those years he was the CFO, Global Supply Chain Manager and Director for BD and Marketing. In all his roles he generated revenues for the company and took a major role in the management team leading Plasan during its rapid growth. Throughout the years, Michael gained high level management experience, expanded his global and local professional network and is familiar with various sectors and activities. Michael brings to Conexx the years of experience, networking and project leading skills in order to strengthen the Conexx brand and presence, identify new Israeli technologies, and strengthen the connections between Israeli and American companies. Michael Piha was born in Haifa. Today he lives in Kibbutz Sasa (one of the few kibbutzim founded by Americans) and holds a BA in economics and management from the Rupin Institute and EMPA (Executive Master of Public Administration) from Haifa University.